Summary (from the back of the book): Knocked Up Abroad Again: Baby bumps, twists, and turn around the globe is told by 25 mothers in 25 different countries. Each mother, with her unique voice and from her perspective, describes the highs and lows of motherhood as she straddles the distance between what was once familiar and the reality of her foreign environment. 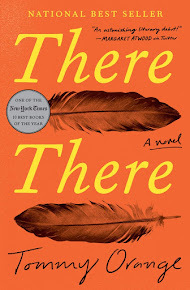 This heartwarming, sometimes hilarious, and sometimes heartbreaking collection of stories illustrates that the more we see, the more we learn about ourselves as human beings. Review: A former colleague of mine now lives in Guatemala and is married to a Guatemalan man. They have a young daughter and Michelle blogs and does Instagram about what it's like to live in a bi-cultural family. She contributed an essay to this book so I definitely wanted to support her by contributing to the Kickstarter. And, I love a good travel/live abroad story and a good birth story so it seemed like a fun book to support and read. This book is fun. I am doing the review before I am completely done, but that's okay because of the type of book it is. 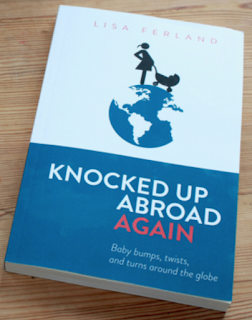 It is set up with a few sections: Knocked Up Abroad; Loss and Healing Abroad; and Parenting Abroad. Since it is all essays, it is easy to skip around, read about the countries or topics that most interest you, and to do so in any order you want. Pretty freeing, right? One of my favorites so far is the essay by my friend, "Woven Between Two Cultures" (Michelle Acker Perez) even though I've heard much of it before in her Instagram and on her blog, Simply Complicated. The other one I found fascinating was "A Girl and Her Guard" by Sara Ackerman. Sara lived in the Congo and adopted a girl from Congo. The essay takes place once they are living in Ethiopia and the friendships her young daughter makes with the house guard and neighbors. Oh, and the essay about the pollution in China? Chilling! Some of the essays are funny, some are poignant, some are sad, but they are all interesting!